Daniel and I talked for about 75 minutes in a wide-ranging conversation that touched on the importance of history to the Christian, what it means to approach the past Christianly, and some of the light that a historical perspective might shed on the current presidential contest. If you’re interested, you can view the podcast, titled “Trump, Conservatism, and Christian Witness, here. The only problem with these numerous tributes to Tocqueville’s wise assessment of America—as I noted in my previous post—is that Tocqueville never wrote the lines that we attribute to him. Universal suffrage, whatever may be its abstract merits or demerits, is neither desirable nor possible, except the people are the subjects of universal education and universal piety. America will be great if America is good. If not, her greatness will vanish away like a morning cloud. Over the course of his nine-month journey across the United States, Tocqueville actually found much to admire about American democracy, but his views can’t be reduced to the equivalent of a campaign slogan. In my next post I’ll have some thoughts on what Tocqueville really believed about the sources of American happiness. I need to share one more reflection inspired by Democracy in America before I set aside Alexis de Tocqueville for the rest of the summer. We’ve heard a lot recently about making America “great” again, and that calls to mind a famous quote popularly attributed to that French commentator. Have you heard this before? I sought for the greatness and genius of America in her commodious harbors and her ample rivers—and it was not there. . . . . in her fertile fields and boundless forests—and it was not there. . . . .in her rich mines and her vast world commerce—and it was not there. . . . in her democratic Congress and her matchless Constitution—and it was not there. Not until I went into the churches of America and heard her pulpits flame with righteousness did I understand the secret of her genius and power. America is great because she is good, and if America ever ceases to be good, she will cease to be great. Democracy in America is widely appraised as “the most perceptive and influential book ever written about American politics and society,” but it is also extremely long (typically 800-900 pages, depending on the edition) as well as extremely complex. This combination of traits explains why so many politicians (or their speechwriters) feel compelled to quote it without actually reading it. “America is great because America is good” is a case in point. Tocqueville never wrote anything remotely resembling that in Democracy in America. Bartleby’s dictionary of quotations traces the quote to a 1941 book titled The Kingdom of God and the American Dream, by Sherwood Eddy, a theologically liberal Christian socialist and missionary, who claimed to be quoting Tocqueville. Wikiquotes has identified an earlier source, a 1922 letter to a Presbyterian magazine called the Herald and Presbyter (vol. 93, no. 36, p. 8). According to the letter, an official with the Presbyterian Board of Home Missions, the Rev. John McDowell, included the quote in a Sunday sermon and attributed it to Tocqueville. Where Rev. McDowell got the quote is not known, although this much is certain: he didn’t get it from Alexis de Tocqueville. Even so, a host of public figures have insisted that Tocqueville said these words. If you don’t believe me, Google the phrase “America is great because she is good” and see what comes up. Among those who have repeated the quote verbatim in speeches or essays, you’ll find presidents Dwight Eisenhower, Gerald Ford, Ronald Reagan, and Bill Clinton. (Although it’s not clear whether Richard Nixon ever used the quote in a public address, Charles Colson recalled that Nixon was extremely fond of it and used it frequently in meetings. “I got goose bumps whenever he used that quote,” Colson confessed in his book Loving God.) It’s also been a favorite phrase of congressmen, cabinet officials, and a variety of political commentators and would-be officeholders, including Pat Buchanan, Glenn Beck, and Ben Carson. It shows up in highly reputable venues, including The Atlantic, The New Republic, and Forbes. “America is great because she is good” is arguably the most widely repeated observation that Alexis de Tocqueville never made. It’s hard to imagine a less accurate summation of Democracy in America, and hard to believe that Metaxas has actually read “the rest of the book,” or at least read it closely. I don’t mean to pick on Eric Metaxas. A blogger who doesn’t know me from Adam has hinted recently that I am simply one of those “evangelical historians [who] identify with evangelicalism but evangelicals not as much,” and that I have been critical of Metaxas because I want to create some distance between my “public persona” and the prevailing values of American evangelicals. I am not sure why this writer feels compelled to speculate as to my motives, but here they are: I am an evangelical Christian, born and raised in the Bible Belt, and my heart’s desire, as a Jesus-follower who is also an academic historian, is to be in conversation with other Christians who are interested in what it means to think both Christianly and historically about the American past. Eric Metaxas may be the most prominent openly Christian public intellectual in the United States today, and without a doubt his books and other writings will reach far more readers than those of any Christian academic historian. If I am going to be in conversation with Christians outside the Academy, I need to read what they are reading and engage them about it. It’s that simple. When it comes to Democracy in America, the tragedy of “America is great because she is good” is two-fold. First, it misses what Tocqueville was actually arguing by about a mile and a half. It’s not just that Tocqueville never used those exact words. He didn’t believe anything close. Second, what Tocqueville did believe about American values—especially concerning the extent of “virtue” among the people and the role of religion in American democracy—is something that every American Christian who cares about the public witness of the Church needs to hear. What Tocqueville actually argued should be deeply convicting to us. Metaxas and others have distilled and distorted his telling critique into a political slogan to be used against our political opponents. For openers, my dear friend, imagine a society compounded of all the nations of the world: English, French, Germans. . . . People each having a language, a belief, different opinions; in a word, a society lacking roots, memories, prejudices, habits, common ideas, a national character . . . and a hundred times happier than ours. More virtuous? I doubt it. What binds such diverse elements together and makes a nation of it all? Self-interest. That is the key. 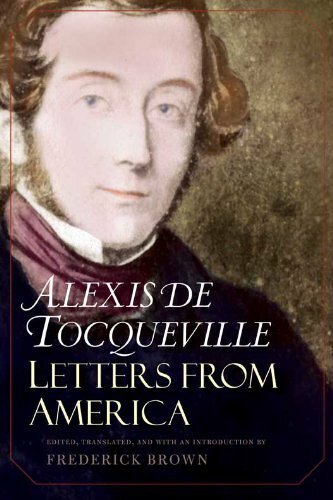 I just got back from sitting under a shade tree at a nearby forest preserve, where I passed the hours of a muggy afternoon alternately dozing, slapping at bugs, and reading the final chapters of Alexis de Tocqueville’s Democracy in America. It was great. One of the themes of Democracy in America is that it is human nature to be tempted to sacrifice freedom in exchange for security and comfort. 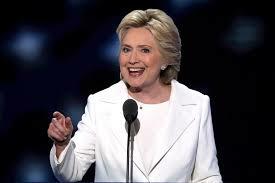 I heard a lot of applause on Thursday night for a strong man who promised, by virtue of his self-described unparalleled brilliance, to eliminate crime, injustice, poverty, terrorism, and all domestic and global threats to American peace and prosperity. What I didn’t hear was any serious discussion of what costs this might entail in terms of liberty, or how any of Trump’s promises might be achieved without clothing our aspiring protector with unprecedented power. DID TED CRUZ SHOW “VIRTUE” IN WEDNESDAY NIGHT’S SPEECH? 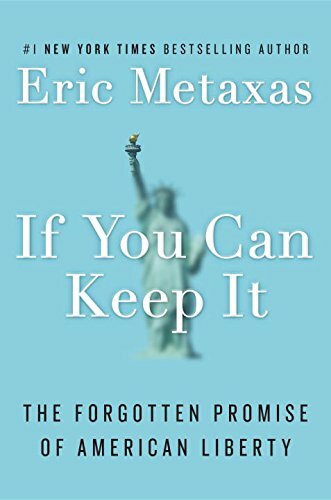 One of the principal themes of Eric Metaxas’ latest book—If You Can Keep It: The Forgotten Promise of American Liberty—is that America needs virtuous leaders if our freedom is to endure. Having read and reviewed Metaxas’ book so recently, I found it impossible not to ruminate on his argument while listening to Ted Cruz’s stunning “non-endorsement” of Donald Trump at last night’s session of the Republican National Convention. Cruz’s speech immediately went under the media microscope, in part because it was almost the first surprising thing to happen at a national party convention in the past half century, but also because almost every talking head who weighed in on the question last night agreed that what Cruz had done was politically “risky.” Should Trump go on to win the presidency [involuntary shudder] or come close enough to victory that Cruz’s stance could be seen as responsible for his defeat, the consensus was that we’ll remember the Texas senator’s speech as the beginning of the end of his political career. That caused my historian’s alarm to go off, because what we call “politically risky” might very well be what the Founding Fathers would have called “virtuous.” Let’s remember what the Founders meant by the term. When they argued that virtue was indispensable to the success of free institutions, they defined the concept differently than we might today. Virtue, as they understood it, had almost nothing to do with sexual morality—something we’re likely to think of if we hear the word now—and everything to do with one’s willingness to sacrifice personal interest for the benefit of the common good. 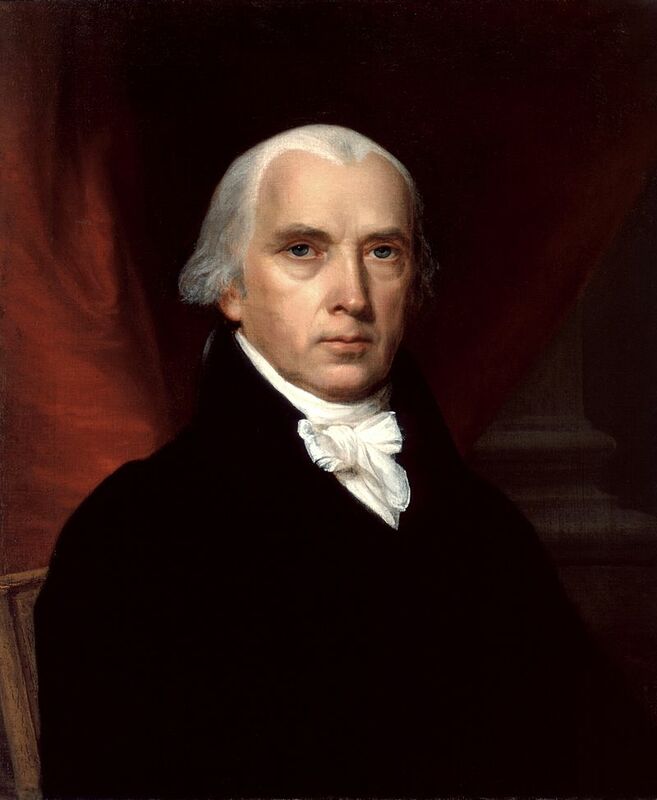 Second, the Founders understood that, in a free society in which the people could easily get caught up in self-destructive partisan passions, it was sometimes the duty of the virtuous statesman to defy the majority, even at the cost of popular condemnation. 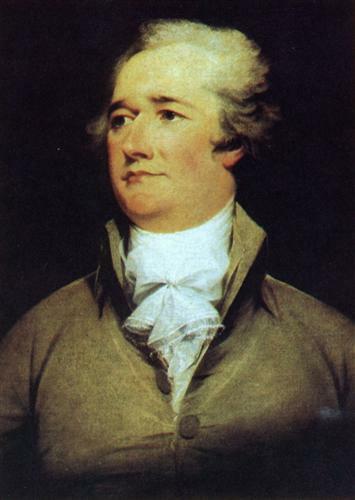 And so when James Madison and Alexander Hamilton penned the Federalist essays after the Philadelphia Convention adjourned, they repeatedly noted that one of the strengths of the new Constitution would be the features that would keep the government accountable to the people while still shielding officeholders from undue popular pressure. The indirect election of the Senate, for example, would enable that body to “refine and enlarge” public sentiments to arrive at official policies superior to what the people clamored for. 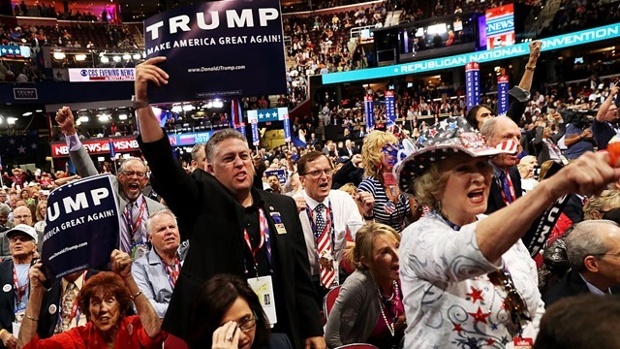 The convoluted election of the president would free the executive to stand against popular passions “when occasions present themselves in which the interests of the people are at variance with their inclinations,” i.e., when what the people want would be bad for them. In If You Can Keep It, Eric Metaxas seems to think that our cultural commitment to virtue held strong until about the time that the Beatles came to America, but the belief in virtue as the Founders understood it was almost extinct within a half century of Independence. The best evidence for this comes from the crucial presidential election of 1824. 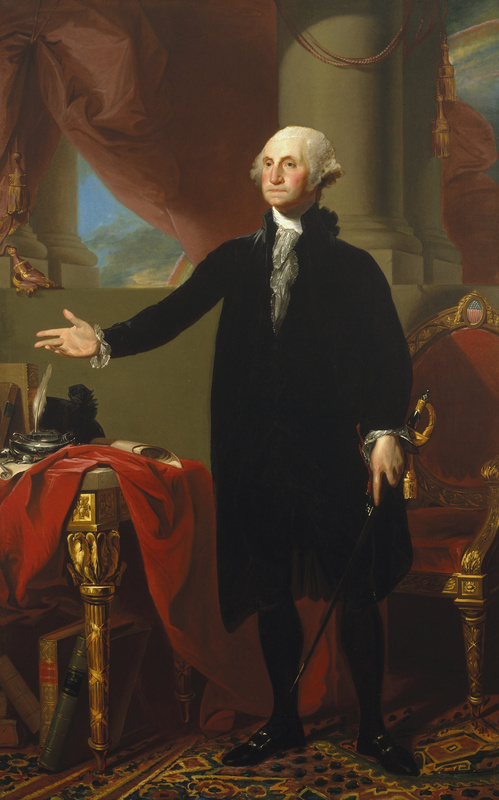 My position, in regard to the Presidential election, is highly critical, & such as to leave me no path on which I can move without censure; I have pursued, in regard to it, the rule which I always observe in the discharge of my public duty. I have interrogated my conscience as to what I ought to do, & that faithful guide tells me that I ought to vote for Mr. Adams. . . . I am, & shall continue to be, assailed by all the abuse, which partisan zeal, malignity, & rivalry can invent. I shall risk, without emotion, these effusions of malice, & remain unshaken in my purpose. What is a public man worth, if he will not expose himself, on fit occasions, for the good of his country? 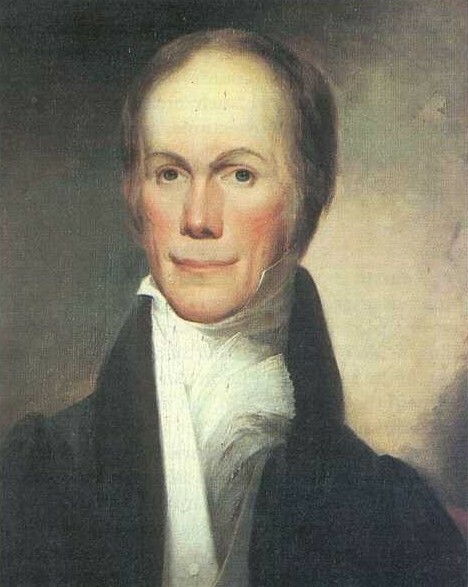 Henry Clay sat for this portrait in 1824. If the People thought Gen. Jackson worthy, is it for Henry Clay to pronounce him unworthy? Is it for him to say to his fellow citizens, ‘You shall not have the man you wish, but the man I will’? No.—Henry Clay himself has inflicted the deepest wound on the fundamental principle of our government. 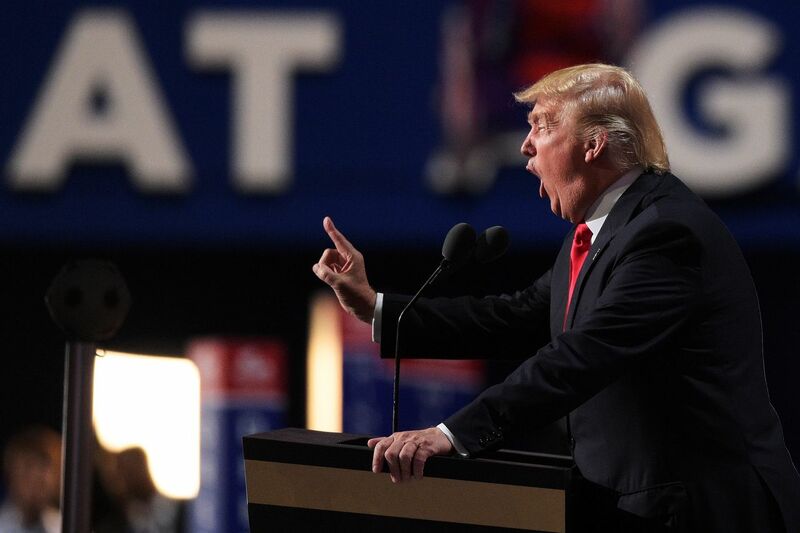 He has insulted and struck down the majesty of the People. If you’re familiar with the details of this watershed election, you know that the story doesn’t end here. 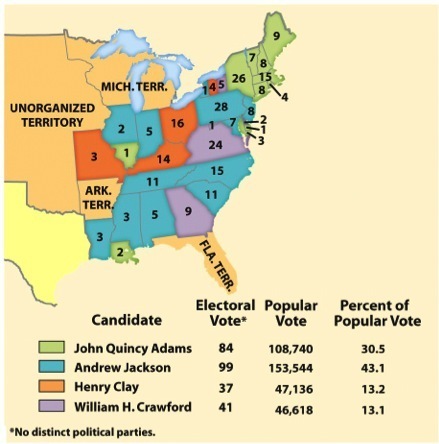 When John Quincy Adams subsequently named Clay his Secretary of State, Jackson supporters immediately screamed that a “Corrupt Bargain” had been struck and Clay had sold his support in the run-off in exchange for a cabinet post. Historians have never uncovered any evidence to prove that this actually happened, but the charge was politically useful, and the Jacksonians wielded it with a vengeance. Four years later, the people had their way, and the nation’s first populist president—whose primary policy accomplishment would be the passage of the Indian Removal Act—was elevated to the presidency. Was Henry Clay motivated by love of country or by political ambition? I don’t know. What I do know is that he still spoke in the language of the Founders, who assumed that the exercise of virtue might require defiance of the public and usually exacted a personal cost. That view was already dying out by the 1820s. Was Ted Cruz motivated by love of country or political ambition in last night’s non-endorsement of Donald Trump? I don’t know. It’s quite possible, as several op-ed writers were quick to insinuate, that he made a calculated decision about how best to advance his own political future. I’m not a big Ted Cruz fan, but I’ll say this much: In refusing to fall in line behind his party and in delivering an address sure to elicit scorn and derision across the lecture hall, Cruz’s stance looks on the surface more virtuous than anything else I’ve noticed from the convention so far. 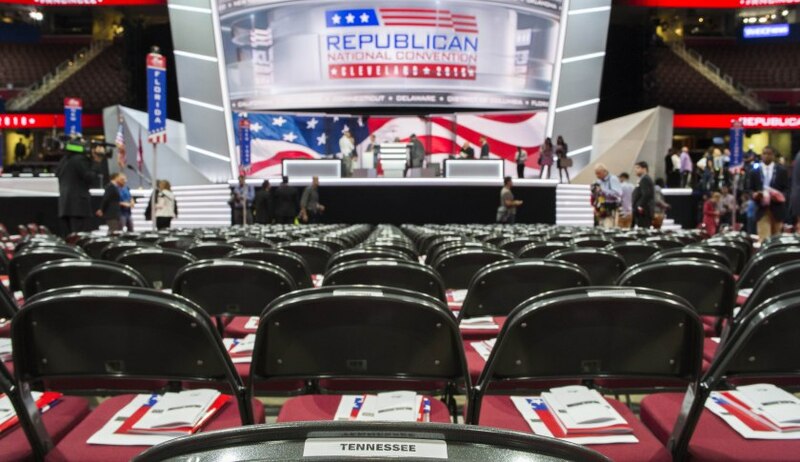 Neither Madison nor Hamilton was writing with a party nominating convention in mind, of course, but the underlying principle that animated their observations seems pertinent to this week’s doings in Cleveland. When a public official is convinced that a popular preference would be disastrous for the nation, there is nothing noble or admirable about yielding to that preference in the name of “duty,” and the GOP shouldn’t have to invent a “conscience clause” to make that apparent. Some more timely food for thought from Alexis de Tocqueville’s classic Democracy in America. As I meditated on the passages below, I couldn’t help but think about next week’s Republican gathering in Cleveland and its likely outcome. 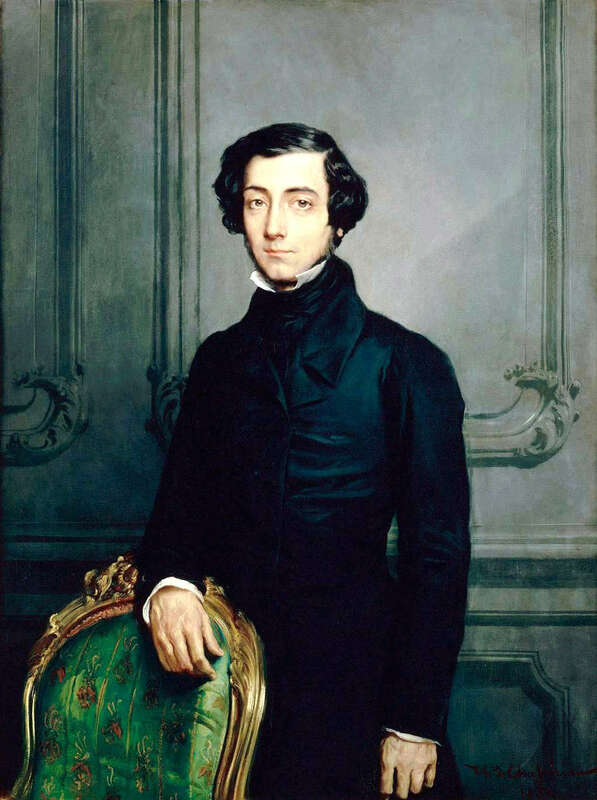 Tocqueville posed for this portrait around 1850, nearly two decades after his American odyssey. 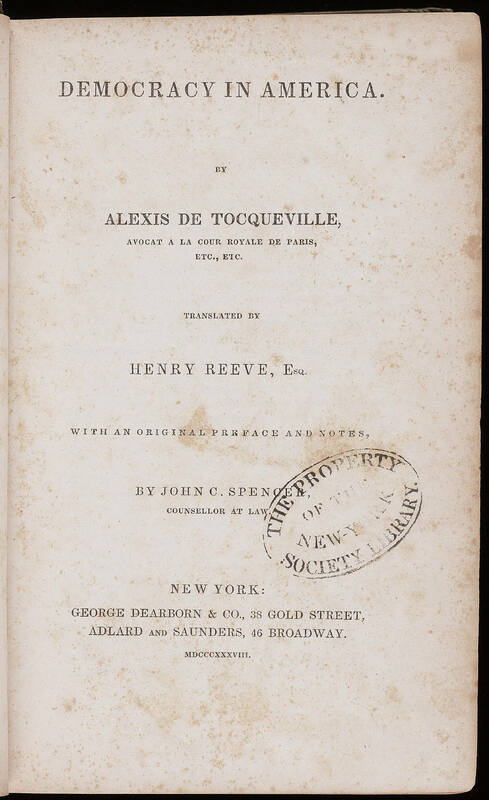 To remind you, Tocqueville was a sympathetic critic of American democracy, and the two-volume work that he penned after his visit to the United States in 1831-1832 is widely hailed as “the most perceptive and influential book ever written about American politics and society.” Among other things, he called attention to the dangers of excessive individualism and materialism in a democratic culture, identified the ever-present potential of the “tyranny of the majority,” and underscored the crucial importance of religious belief to the success of America’s democratic system. And the consequences of this mindset for American government? 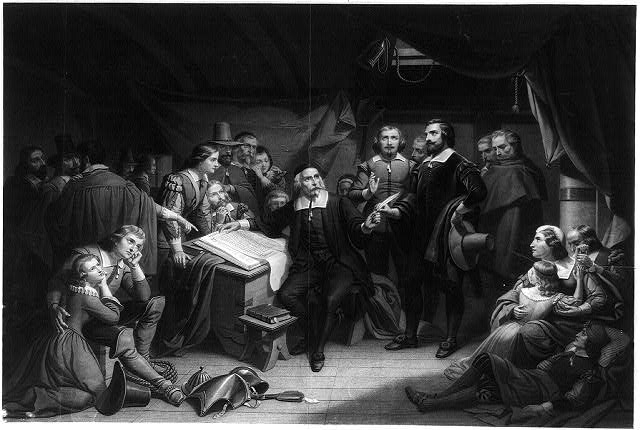 “There is no escaping the fact that in the United States today the most outstanding men are seldom called to public office.” This was partly due to the votes that the electorate cast on election day, but it also reflected a pattern by which the most qualified individuals refused to become candidates. And why was this, Tocqueville asked? While the natural instincts of democracy lead the people to banish distinguished men from power, an instinct no less powerful leads distinguished men to shun careers in politics, in which it is so very difficult to remain entirely true to oneself or to advance without self-abasement.